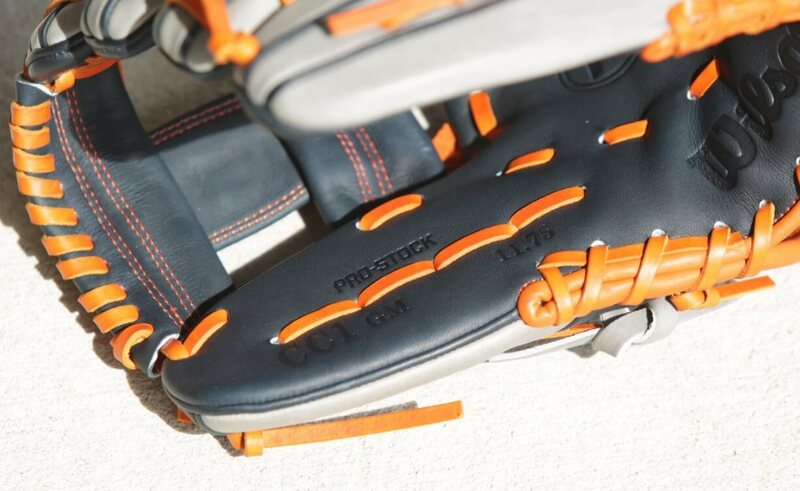 Carlos Correa’s Wilson glove is one of the sickest gloves in baseball (full profile here). 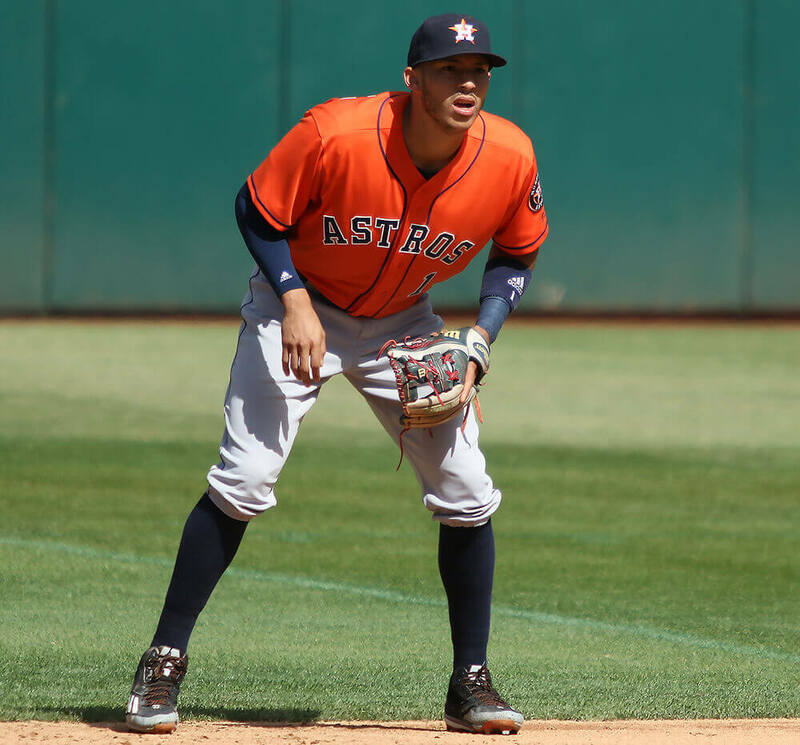 The 1787 is 11.75″ in length, long for an MLB shortstop’s glove, but then again, Carlos Correa, at 6’4, is long for an MLB shortstop. 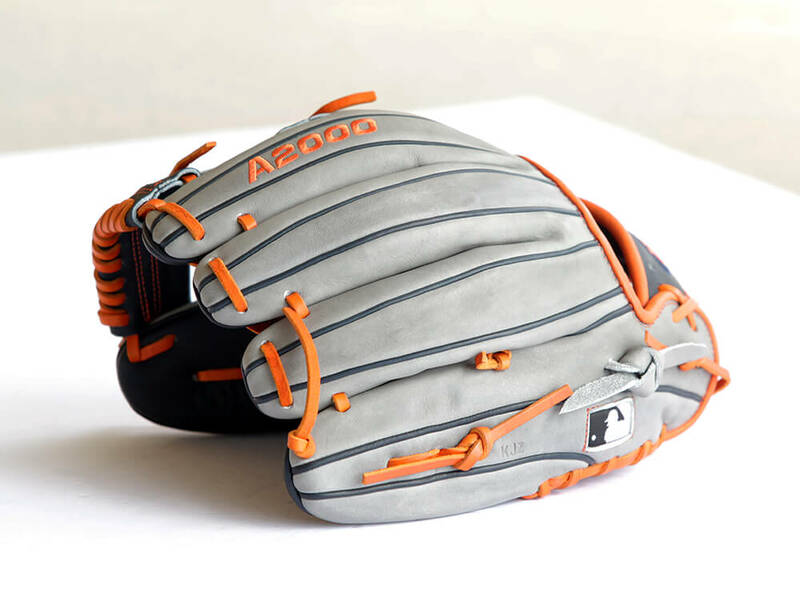 Carlos Correa’s Wilson A2000 1787 glove is available to his exact specifications here. He’s got “Team Correa” embroidered on the thumb, and he discusses Team Correa in the Wilson Glove Day video we shot below. 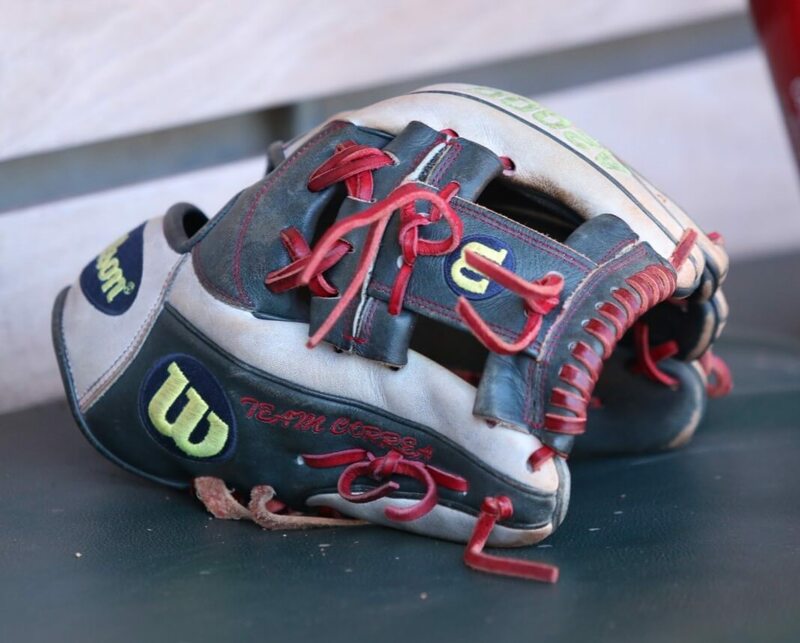 Correa has also worn this glove, another Wilson 1787, with red laces which may have been a carry-over from the minor leagues. 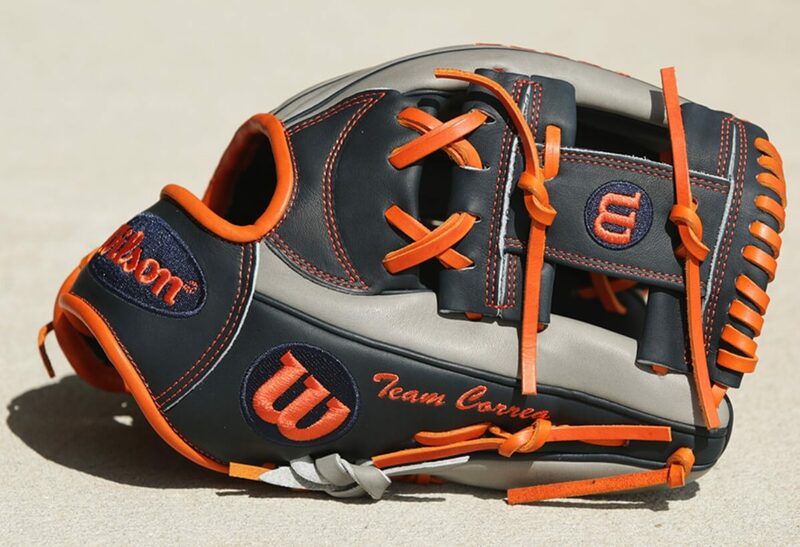 Though he wore this in 2016, we expect Correa’s 2017 glove to be the orange/blue/grey Wilson above. More images of that glove here.